Traffickers, buyers and others who profit from exploiting children must be held accountable. Law enforcement and prosecutors need the proper training and tools to adequately combat these criminals. 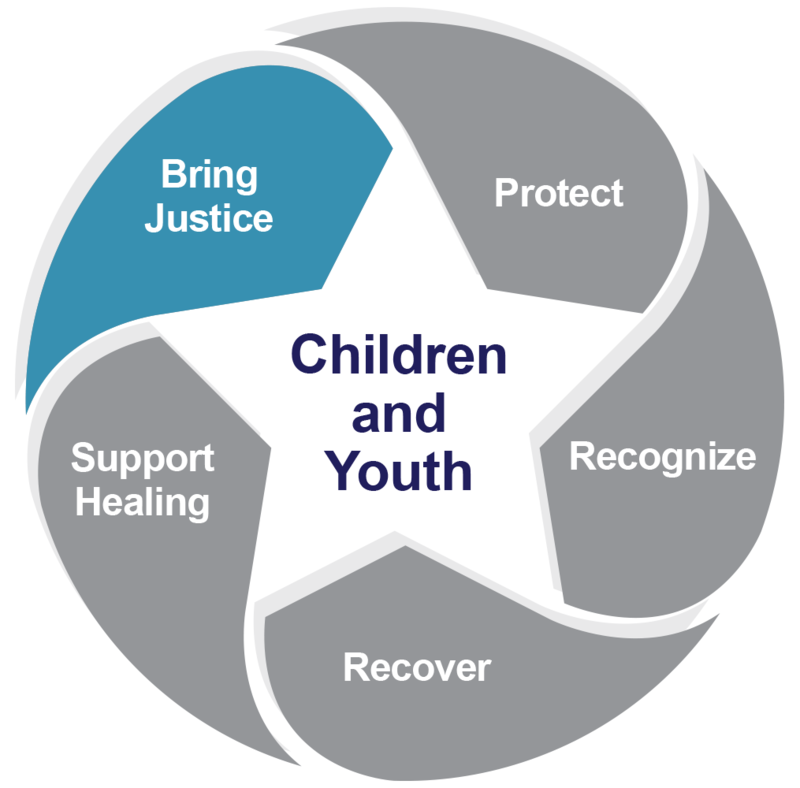 In pursuit of this goal, it is also critical to maintain a child-centered perspective and a trauma-informed response so the needs and recovery of the victim are respected. Shifting cultural norms from blaming victims to holding exploiters accountable. Gang Trafficking of Youth – Identification and Interdiction. This webinar contains images of violence inflicted by gangs. To access the video, please contact us. Project 180: Pilot program at Harris County District Attorney’s Office that diverts young adults arrested for prostitution from arrest to services and gathers interview and analytical information to investigate and prosecute their exploiters. Specialized prosecution units in Bexar and Dallas counties. Office of the Attorney General Sexual Extortion Investigation Project: Provides resources for investigating online sexual extortion cases.